Photo: The 2nd Note that was left at my door. 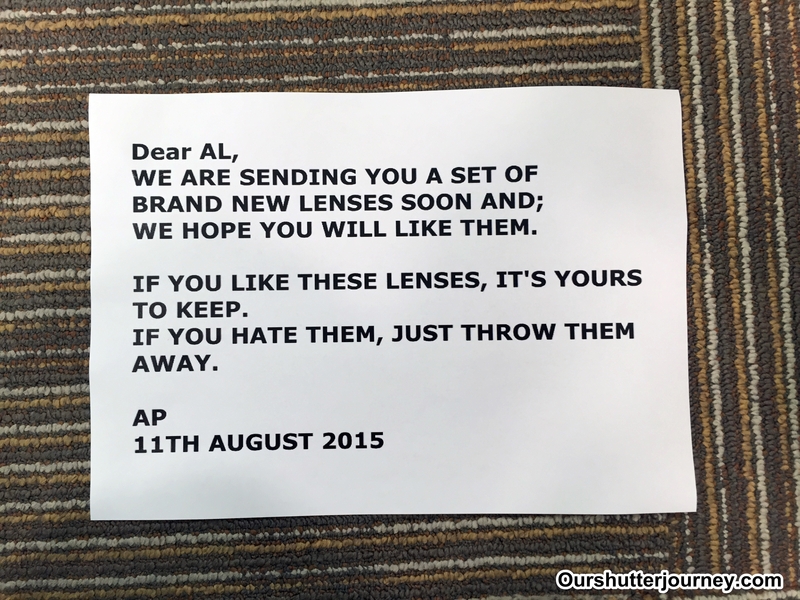 12th August 2015, Singapore – As if the Note that I received yesterday was not enough. You can read about it here. This is getting spooky actually. The person “AP” had left another note on my door today during noon time. INTERESTING FRIENDS YOU HAVE ON FACEBOOK. THIS IS NOT A JOKE OR PRANK. 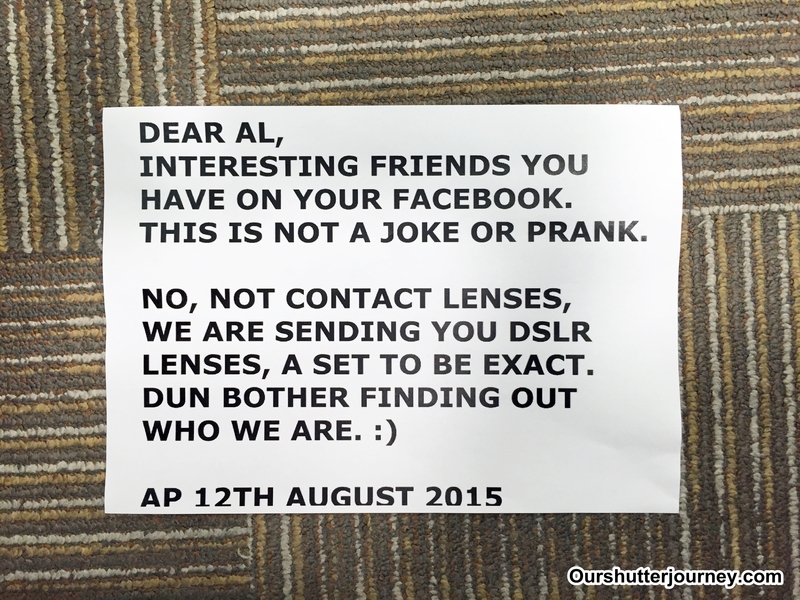 This means that this person “AP” is actually on my Facebook and is monitoring what I am posting about the first note. This person even picked up some of the comments from my friends. Wow! This is getting spooky and yet at the same time, I am really wondering which brand is doing this – if it is really a camera lens brand. Like I said somewhere among my comments, if this is a marketing stunt, it is surely working. Meantime, anxiously as I wait, I am contemplating if I should leave a note to this person on my door that I may wish to alert the Police too. No matter what, so far this person “AP” had not done anything or committed any crime – so it is back to the waiting game and see what might show up at my doorsteps next. As promised, I will definitely update here again if “AP” strikes again. Meantime do check out our Exclusive Samsung Sales here. This entry was posted in Photography Articles & Videos and tagged ourshutterjourney.com. Bookmark the permalink.